Add all ingredients to a bowl, and stir well to combine. If storing for later... transfer to a mason jar. If using now, add ⅓ cup water to bowl, stir well, and set aside. To make the Taco Meat, brown 1 lb. Ground Beef over medium heat on the stove, then drain excess grease. Return browned meat to saucepan, add Taco Seasoning, stir well, and let simmer 5 minutes. 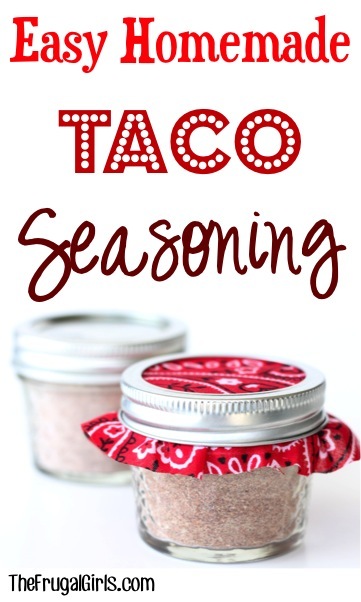 Add to Tacos, Burritos, Nachos, or whatever your heart desires. Enjoy!